This entry was posted in Detective fiction, Mystery and tagged Carter Dickson, Humdrum, J. J. Connington, John Dickson Carr, puzzle mystery. I would have liked to have seen this one reprinted, but Coachwhip felt it was better to pick the rarest strong titles. 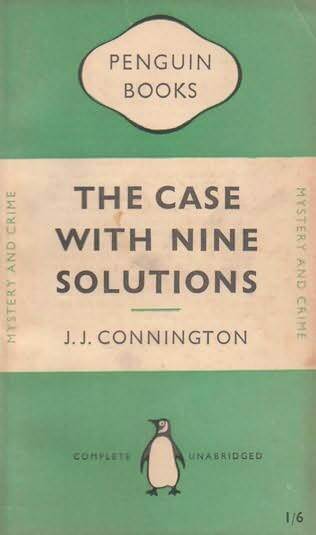 Copies of Connington books have been disappearing the last decade. I hope some more may be reprinted in the future. I agree with your comments on this novel. Connington is not what I would call cozy. He has a distinct feel as a writer, rather acerbic and mordant about human folly.